Everyone knows about Kalamata olives but no one knows about Corfiot Olives or as I call them Gourmet Olives.Why I call them gourmet ? Because they are tiny in size but they are packed with flavor, once your pallet gets the olive zing it will be singing for more ! 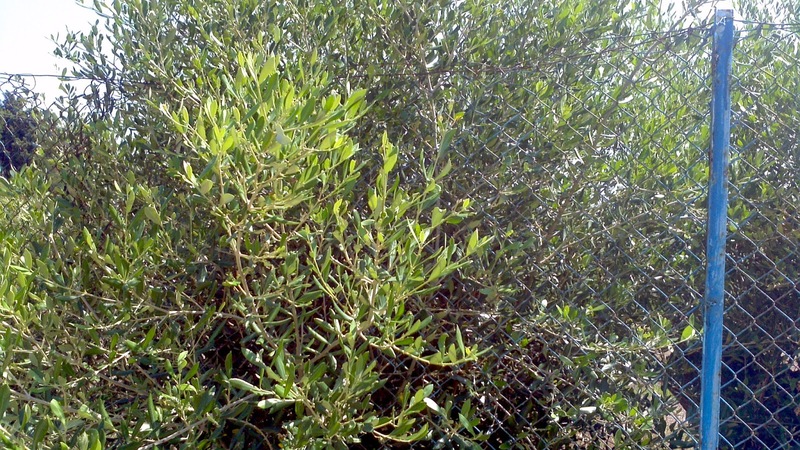 Corfu has hundreds of olive groves,olives are a vital part of the island's economy. The process of harvesting these gourmet olives is literally a backbreaking effort. Almost, the entire time you are bent belly over to hand pick the olives from the ground. Most of the younger generations are gearing away from this because of the manual labor that's involved. The olives are collected by the beating of stick on a tree (some places lately use an olive shaker ) Thank God ! When they are shaken they fall to the ground on a large black net. In Corfu, most olive farmers allow them to fall naturally by rain or wind. When they are on the net they are swept and sometimes picked by hand cleaned and ready to be collected to be taken to an olive press for oil. Olives that are not used for olive oil, are taken and placed in brine and when they are ready, they become starters at our table !! My mouth waters as I write about them. Corfu is not the only island with tiny olives, other places in Greece have them as well. I just don't know why they aren't as popular as Kalamata olives because they are so delicious !!!! 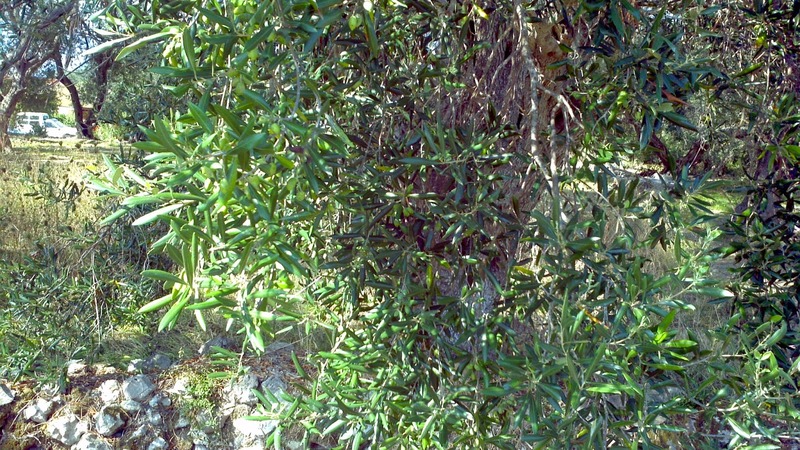 This olive tree is right outside our yard. 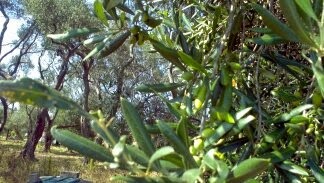 Look closely and you will see the olives growing, some are slightly beginning to ripen. KALE OREXI !! From my kitchen to yours ! Olives are the unspoken tool for cooking in my book....love them on sandwiches too. They add a saltiness I love! If you love olives then these tiny olives are a must try, they are super delicious !!! Someday I hope my tiny little olive tree will produce olives. I was happy to find some in a produce market last year that I could brine myself. I don't know the variety. I have a recently discovered love of olives. I just started loving them about a year ago! I wish I had an olive tree in my yard! I love olives - all kinds! Oh my gosh I love olives so much! Thankfully my kids love them too. Our grocery store has a full mediterranean food bar and we go crazy with the olives, hummus, dolmades, etc. Yum! 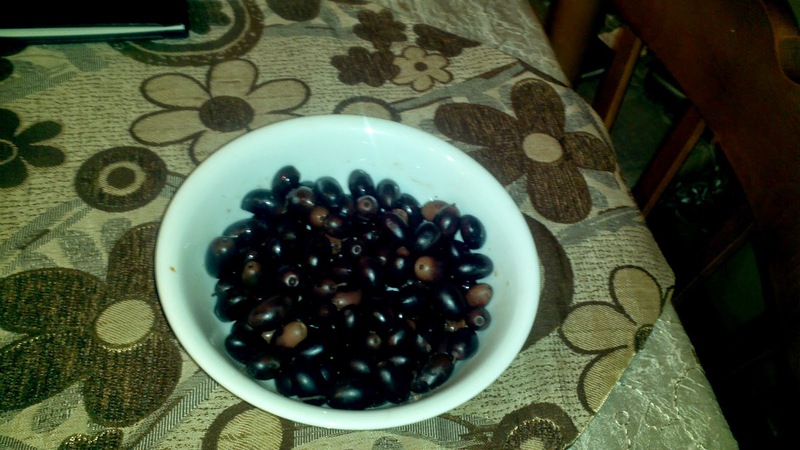 oh we love black olives in my home! We like to my olive fingers! They taste amazing! I'm afraid I am not well versed on olives. I have only recently begin to enjoy them from time to time. Thanks for the info! I love olives. I think olives give a nice salty flavor to a lot of dishes. Thank you for sharing! It makes me want to go through the garden with you and eat some of your Gourmet Olives! 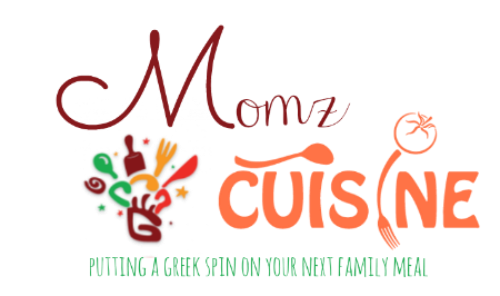 I never knew too much about olives, or how they are harvested until reading your post! Thank you for the info :) You had a fab yield of olives. Thank You ladies for stopping by you make me so happy :) If you follow me I have a special Cypriot recipe with olives as a starter. @Kristen Campbell These tiny are delicious I prefer these over Kalamata Olives 1,000 times. I am not a fan of olives myself but my husband LOVES them. He is so happy any time I add them to our recipes for dinner. I am not an olive person, but learning about the growing and harvesting is interesting. Thanks for sharing. I am not a fan of olives of any kind.. but my wife and the rest of my family are olive big fans..
My second loves black olives. I think these would be a cute stocking stuffer (my kids like food in their stockings). He's grown, and would chuckle but love it. I love olives. For snacking garnishing, can't go wrong with those. I love kalmata olives, but I've never heard of these. I wonder if I can purchase some anywhere in the US? I am so envious! it ust be awesome to grow your own organic olives. I love them on salad and pasta and just about everything. lucky you! I've never heard of them but I don't like olives at all but I do think it's awesome you grow your own! That is so neat that you guys have your own little olive tree! My daughter *LOVES* olives - she would go nuts for that! I love olives! My favorite soap to wash my face with is made from olive oil! Thanks for sharing your experience at this location! I want an olive tree to my yard! I love olives, they are so tasty. Especially the black ones. My favorite is to eat them with feta and salad. You'll never believe this, but my daughter absolutely loves olives and she's online 3! We're all olive fans, actually. I love olives...they make a delicious snack. I also like trying different kinds, and I love the ones packed with flavor. That is so cool! I have never seen an olive tree before. Oh, lucky you with that olive tree in your backyard. I love olives. I'm not an olive girl, but it so neat to hear how they are picked and the process that goes into it! I love olive oil, but I'm still working on olive love. My boyfriend LOVES black olives though! Wow! I've never seen an olive tree before. I love black olives and I put olive oil on just about everything, including my hair! Olive oil is rich in Vitamins esp. vitamin E, it's an excellent natural product for your hair.